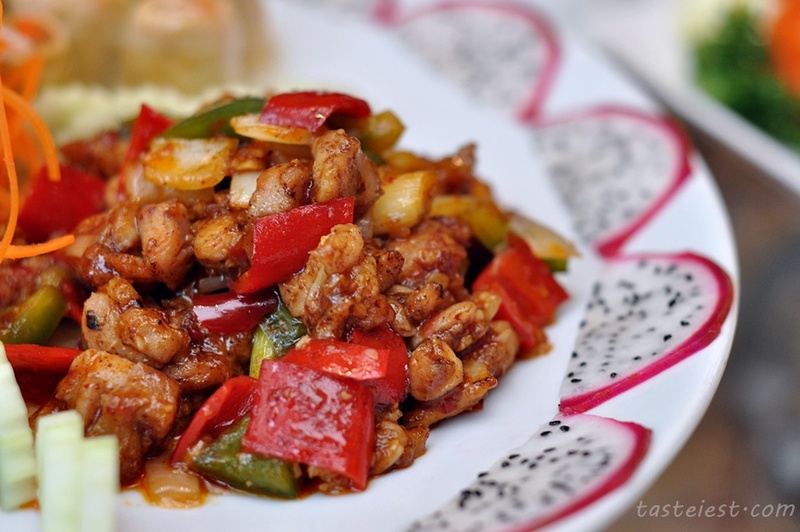 In the month of August, Evergarden Chinese Restaurant introduce a series of awesome SzeChuan cuisine. 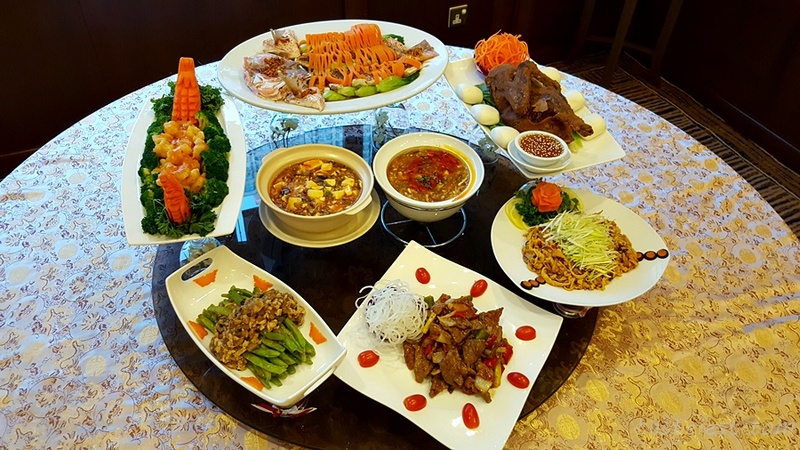 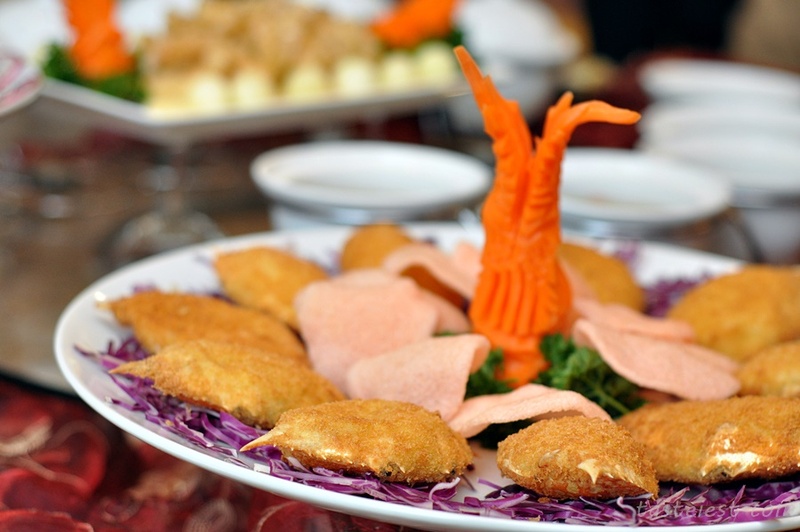 Evergarden Chinese Restaurant is one of the few Halal Certified restaurant offer authentic Chinese Food in Five-Star Hotel. 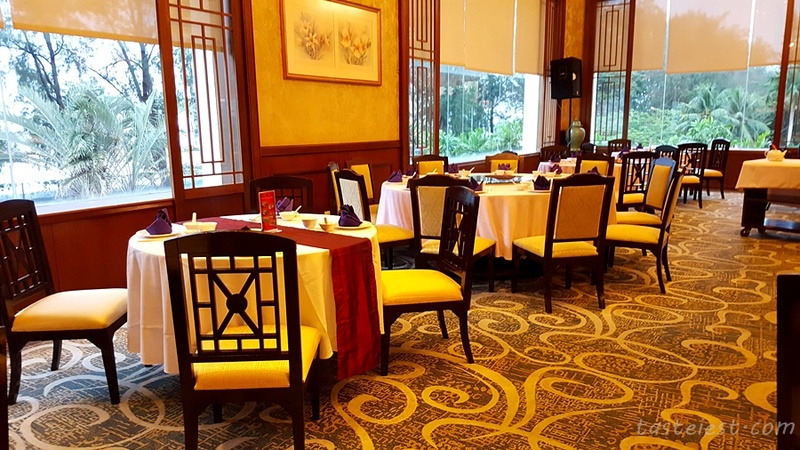 Offer spacious dining area with many private room to cater for private event, high ceiling with tremendous sea view from the dining area. 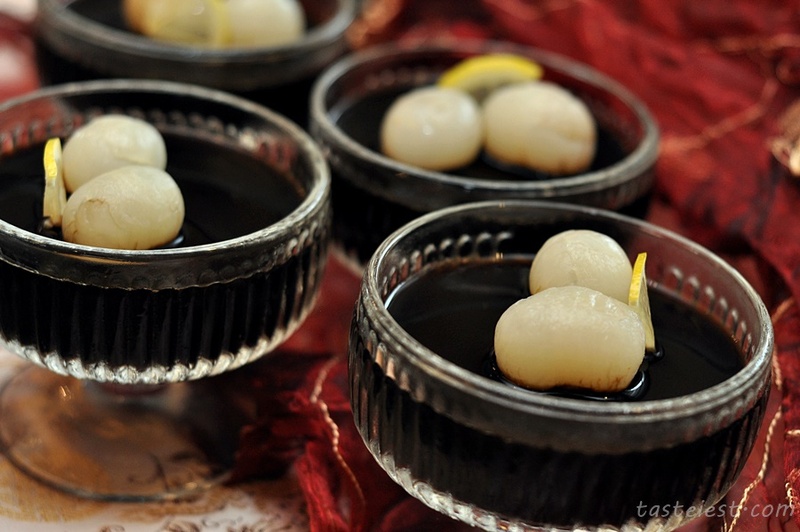 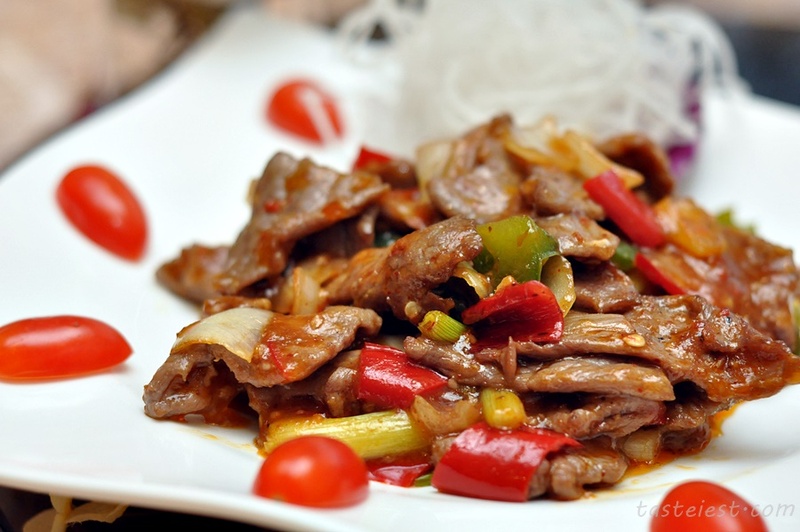 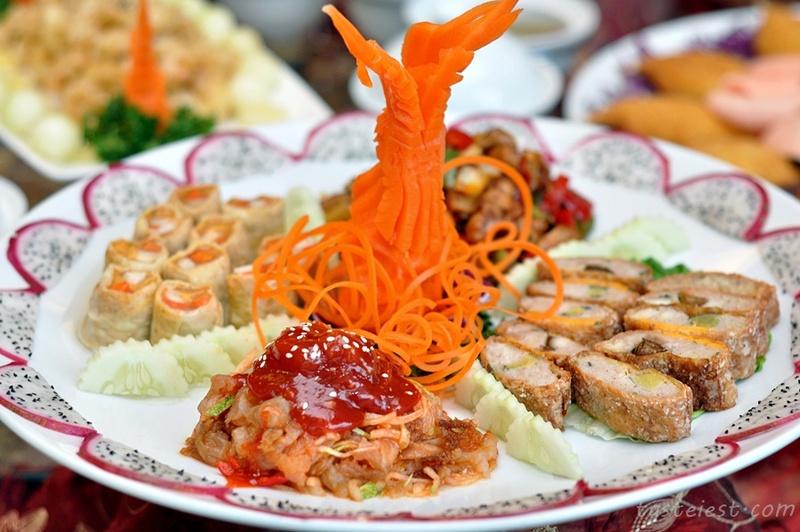 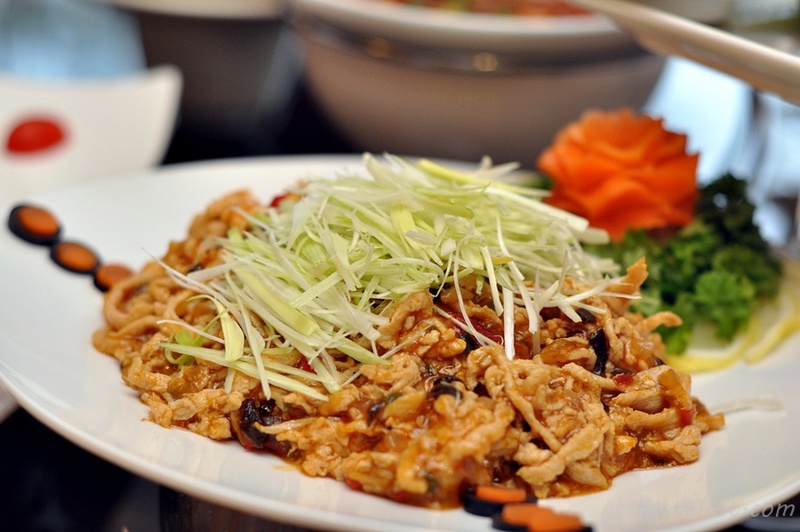 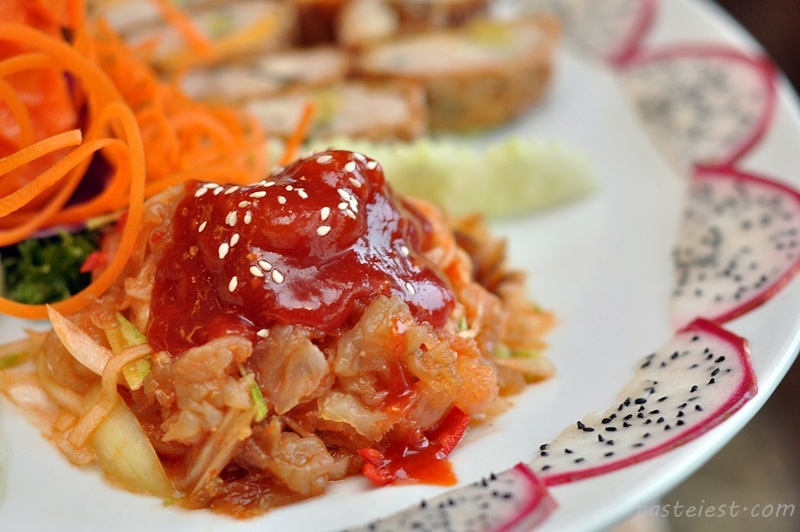 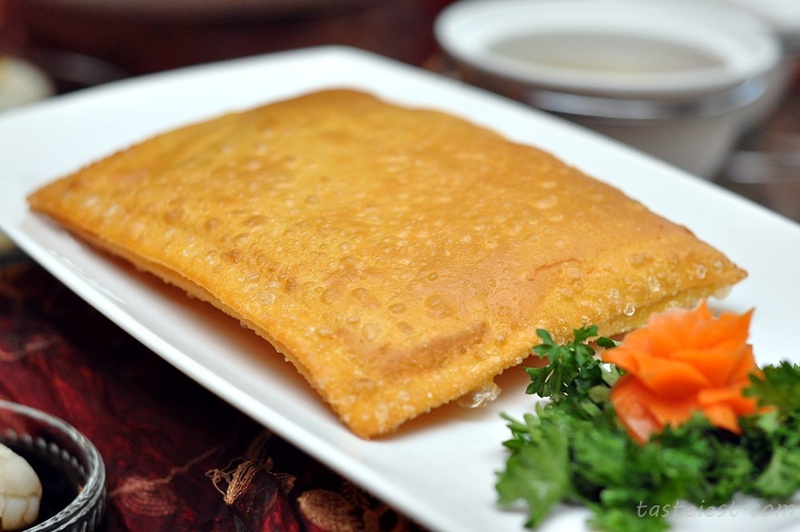 Beside Sze Chuan Cuisine, a la carte Chinese menu offering great variety of signature dishes as well. 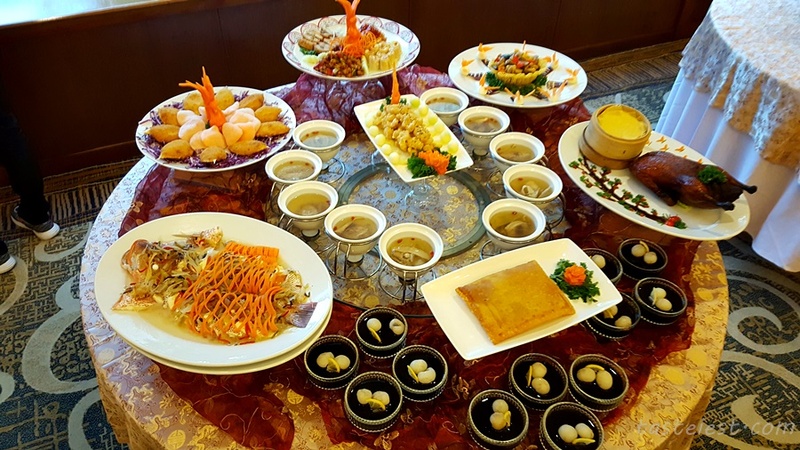 桂冠冷热荤 Laurel Precious Four Dish Combination, four awesome dishes that served as first dishes that has both cold and hot dishes. 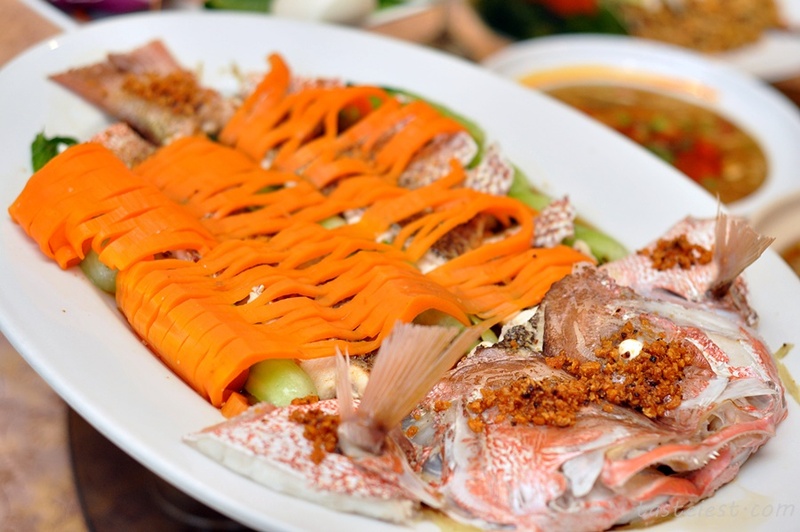 潮式红曹鱼 Steamed Red Snapper in Teow Chew Style, extremely fresh fish cook with pickle vegetable and sour plum that make the dish delicious. 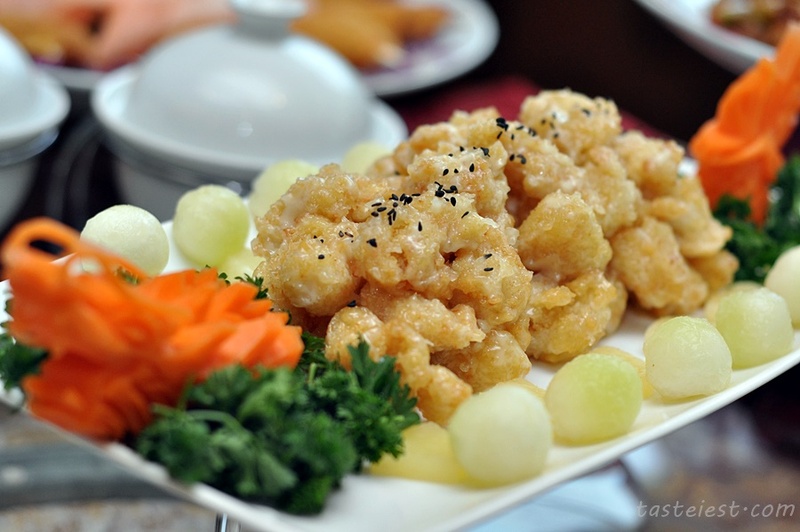 生汁芝麻虾 Sauteed King Prawn with Mayonnaise and Fresh Fruits, perfectly deep fried fresh prawn coated with a layer of sweet mayonnaise served with fresh honeydew. 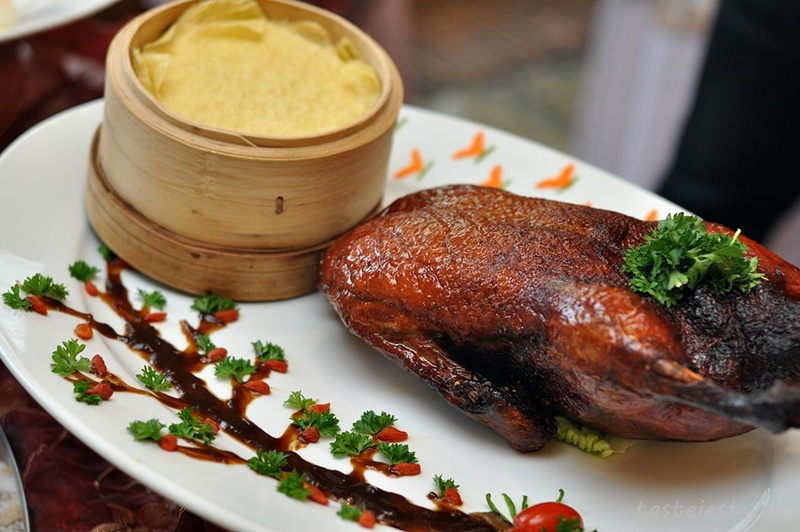 北京烤打鸭 Roasted Peking Duck (Two Course), nice and crispy Peking duck taste awesome by wrapping with fresh vegetable and popiah skin. 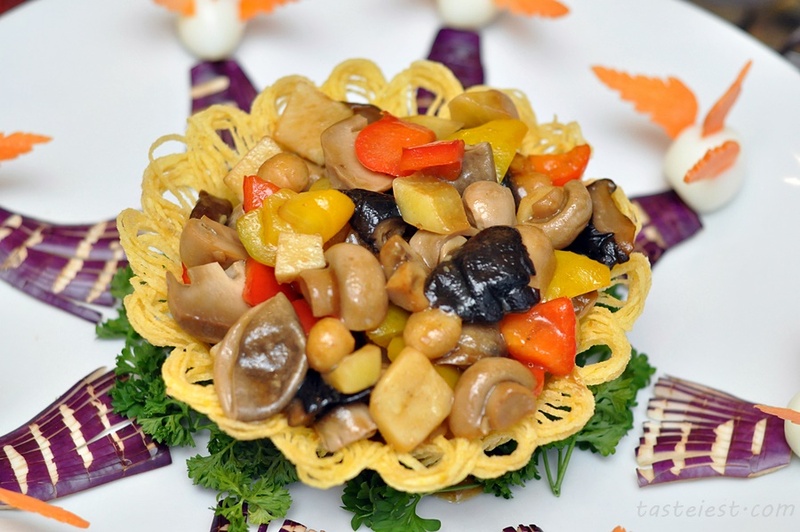 Another course was stir fried with black pepper which are very rich in flavor. 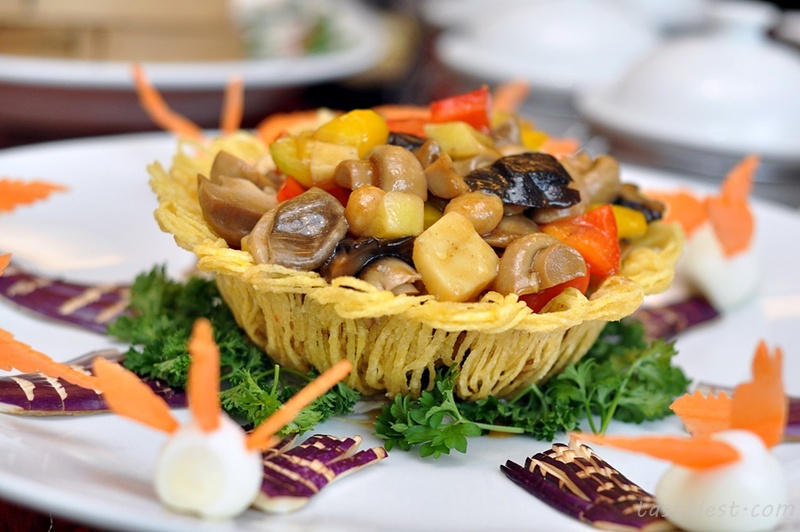 金盏明珠 Fried Vegetable with Mushroom in Basket, awesome dish presentation with “little chicken” surrounding the “lantern” which are fill with fried vegetable and mushroom. 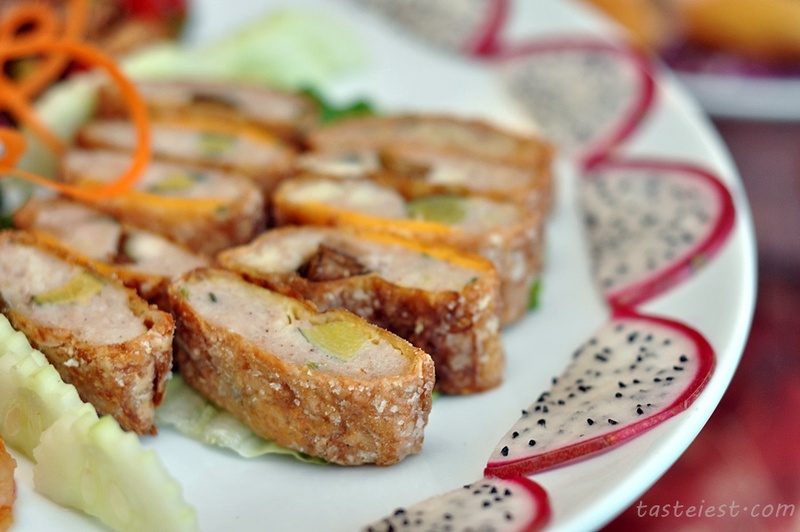 西式焗蚧盖 Baked Stuffed Crab Meat with Cream Sauce. 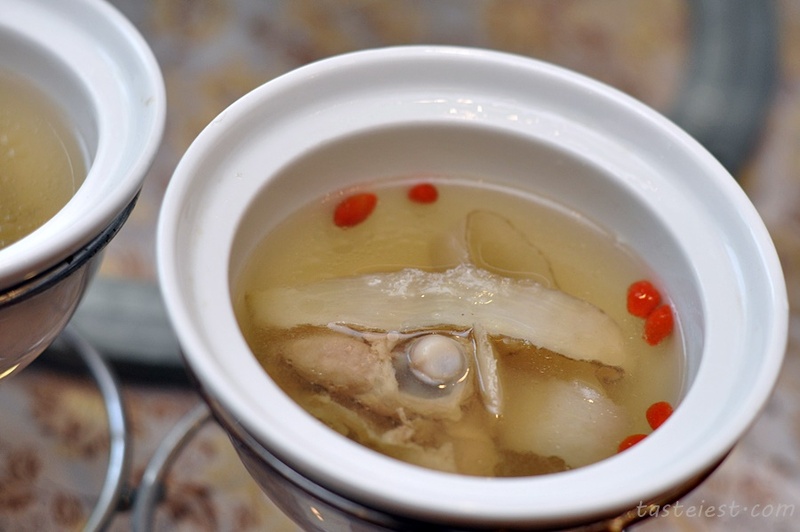 人参炖鸡汤 Double Boiled Chicken Soup with Ginseng Herbs. 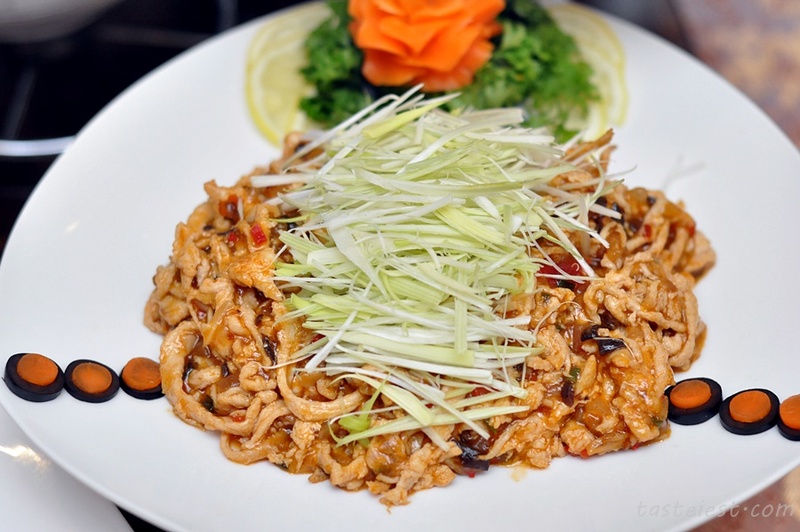 香滑鸡丝 Fried Shredded Chicken with Fish Gravy Sauce RM30-Small, chicken meat are thinly slice and cook in a slightly sweet sauce top with scallion. 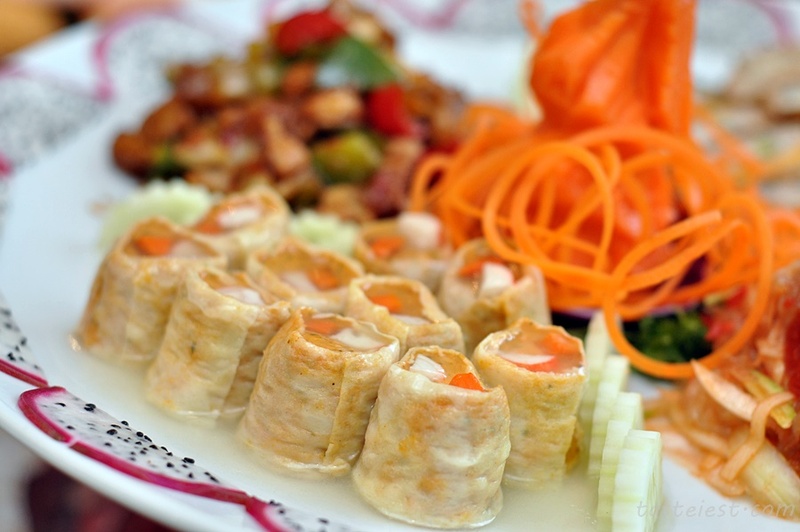 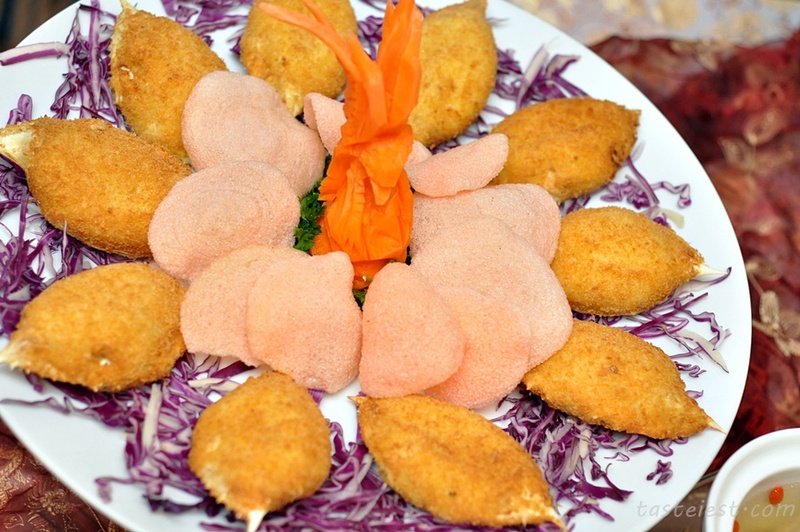 It is one of the best dishes and we enjoy it very much. 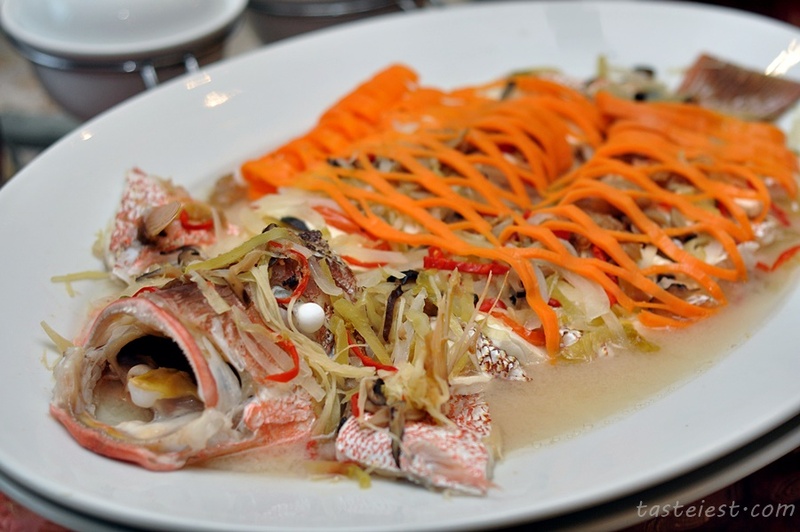 豆酥红曹 Steamed Golden Snapper with Crispy Bean RM110. 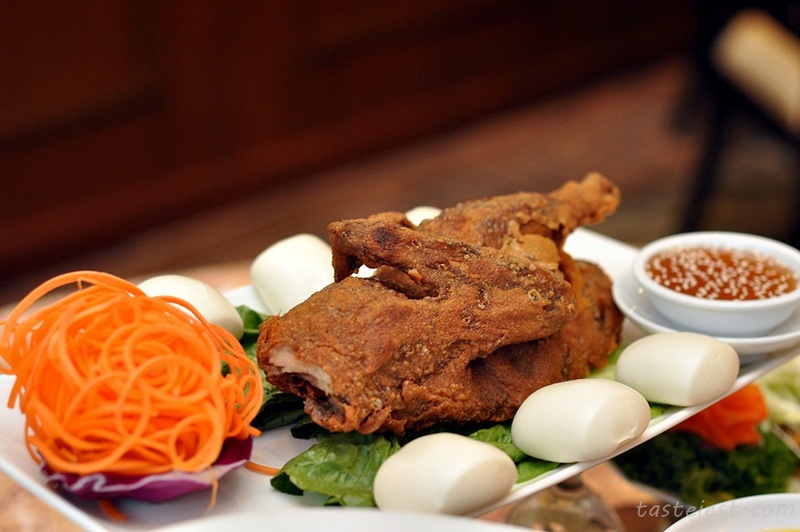 香酥鸭 Deep Fried Golden Duck “SzeChuan” Style RM40-Half Bird, nicely marinated duck deep fried to extremely crispy texture but remain juicy inside, dipping with sticky sweet sauce making it taste good. 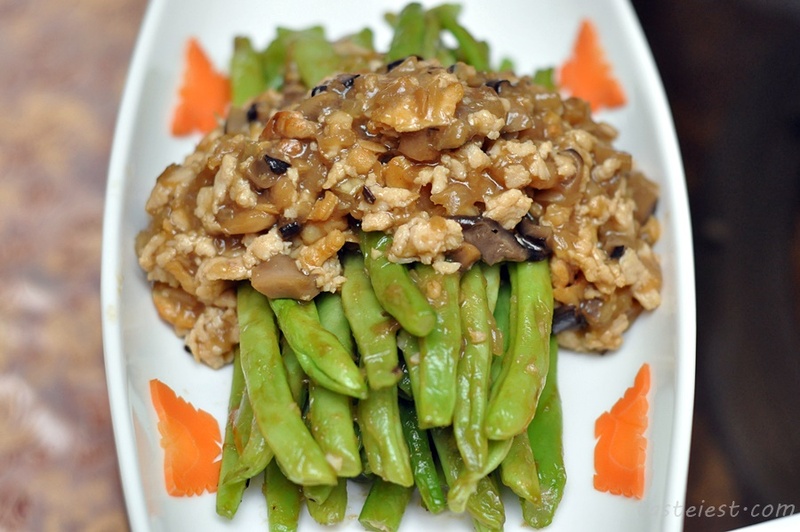 干煸四季豆 Fried Fresh Bean with Minced Chicken and Dry Shrimp RM25-Small. 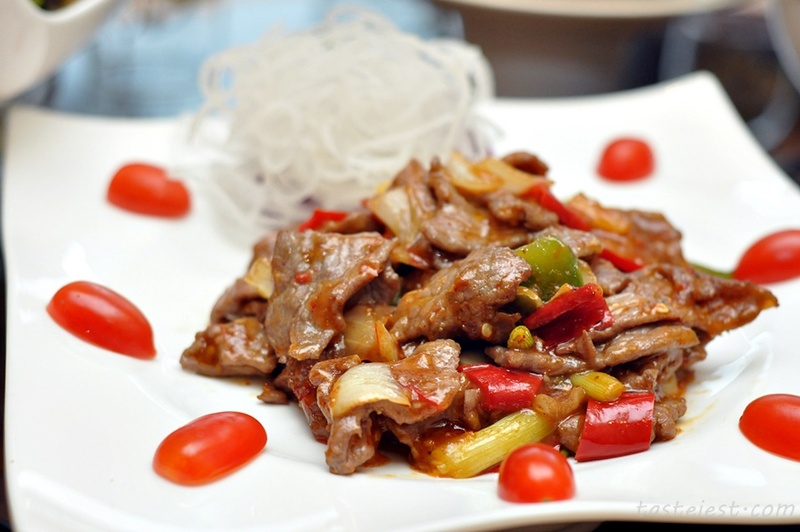 川酱牛肉 Fried Beef with SzeChuan Sauce RM35-Small, beef are surprisingly soft and not chewy, cooking with capsicum and onion gave it a good bite texture. 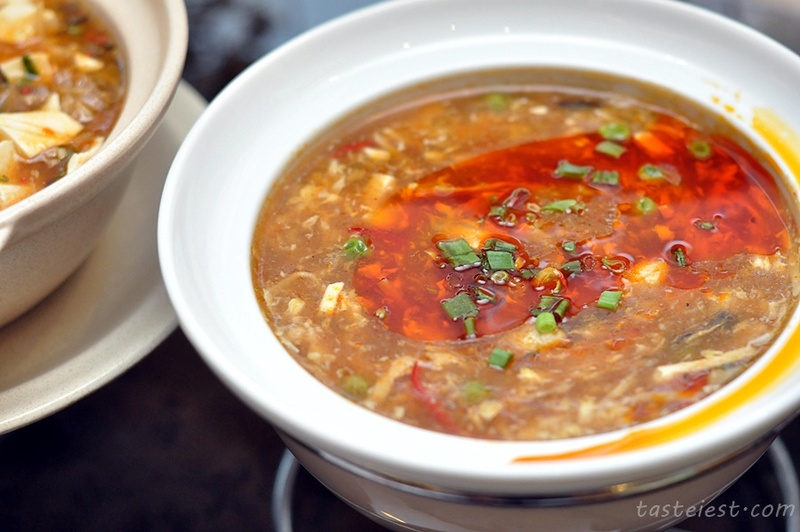 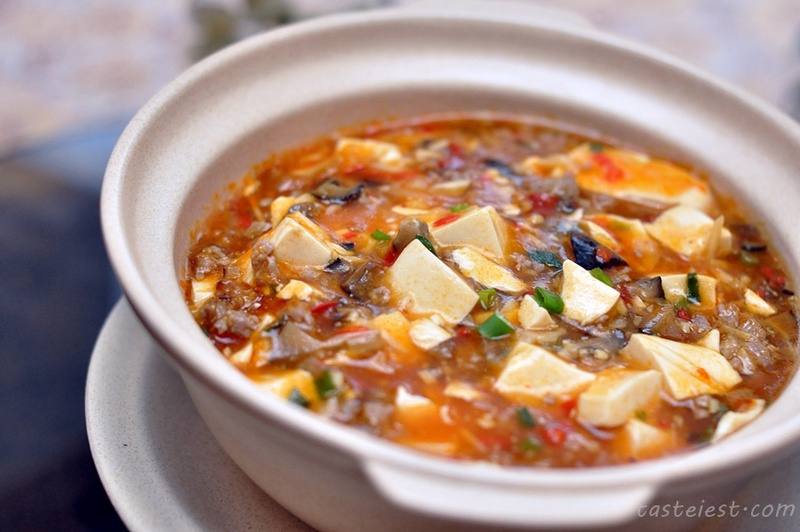 酸辣汤 Hot & Sour SzeChuan Soup RM30-Small, RM21-Per Bowl. 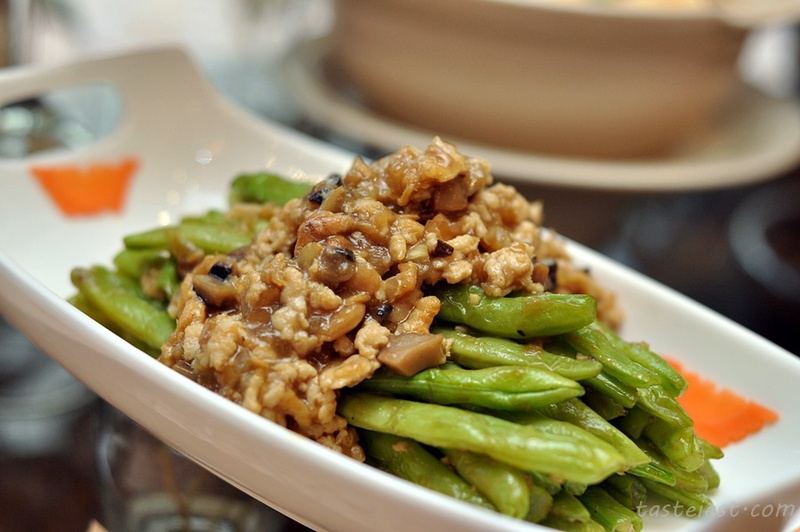 麻婆豆腐 Braised Bean Curb with Minced Beef and Chili Bean Sauce RM30-Small. 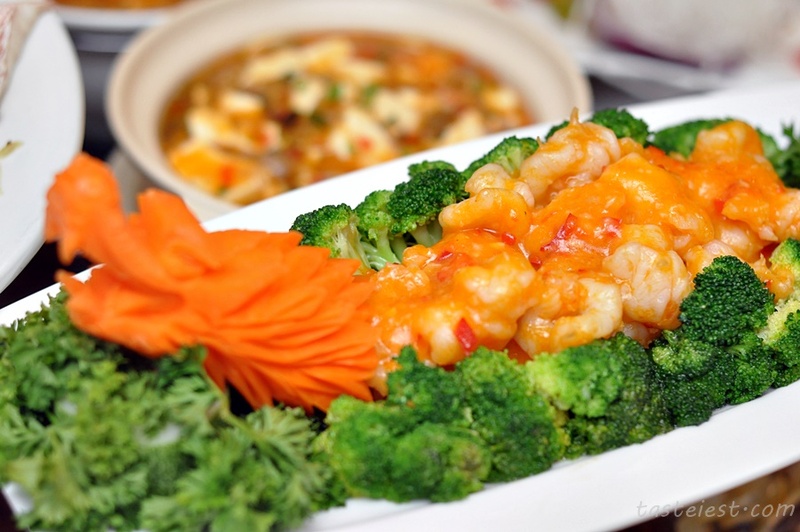 四川虾球 Sauteed King Prawn with Mince and Chili RM70-Small, boiled fresh prawn served with SzeChuan style chili paste that has mild spiciness.